Same day delivery for all orders placed before 2pm weekdays. We deliver to the northern suburbs of Brisbane. 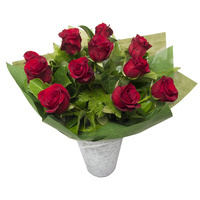 "Excellent Service, very understanding of your needs, first class"
"The best florist ever. Since I went there for the very first time I've never been to another florist. The best flowers, the best staff and the best taste with great price! LOVE IT!!!" "I cannot recommend these ladies enough, they are always friendly and helpful and create absolutely beautiful work, they are definitely my go to for flowers!" 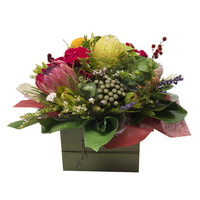 "Had the most beautiful arrangement delivered 10.00am mothers day morning. Only ordered late yesterday. Just so fresh. Just beautiful would recommend Pick a Lily to anyone looking for a very personal touch. "Big tick 10 out of 10"
"Thank you for the gorgeous bouquet of flowers created for me on the spot the other day! They still look so fresh and beautiful days later!" "Beautiful flowers and amazing staff. Rachel is such a gorgeous person with a very generous heart"
"These guys are amazing and their staff are absolutely gorgeous people. Would recommend them 1000%"
"Just wanted to say a huge THANK YOU to the lovely lady who served me yesterday morning. I'm pretty good at keeping it together most days - but yesterday morning I started to crack. Her kind heart and beautiful flowers that I purchased were exquisite"
"Thank you so much for the lovely lady with her excellent service and beautiful flower arrangements"
"We always check out what you have when we come into shop.....My man has purchased some lovely greens and blooms from you. Your kindness is beyond"
"Couldn't recommend Rachel enough, very helpful and friendly"
"Thank you so much for the help over the phone Rachel and for the most beautiful flower arrangement for Mum on her special birthday tomorrow"
"Wonderful Service, lovely flowers! Thank you for making my daughters day"
"Amazing service, extremely helpful and the most beautiful flowers"
"Once again you ladies did a wonderful job. 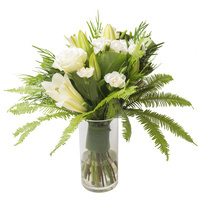 Thank you so very much"
"Fresh, beautiful flowers and great customer service! Highly recommend"
"Service is very important. I experienced wonderful service today at Pick a Lily Florist"
"Used your florist a few times and always had great customer service and advice"
"Such a kind a lovey lady and beautiful flowers. Just the thing for a perfect Valentines day"
"My birthday flowers arrived today. They are beautiful. The box they arrived in was a lovely touch and unusual. Highly recommend this florist"
"Can't give enough praise- service is always great and the arrangements are always unique, stunning and long lasting. 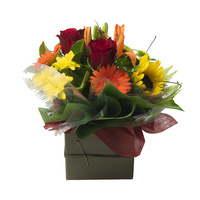 Will be a long time customer no doubt"
"Beautiful flowers at very reasonable prices, with extremely friendly service. Highly recommend"
"Exceptional service, same day delivery and wonderful quality. 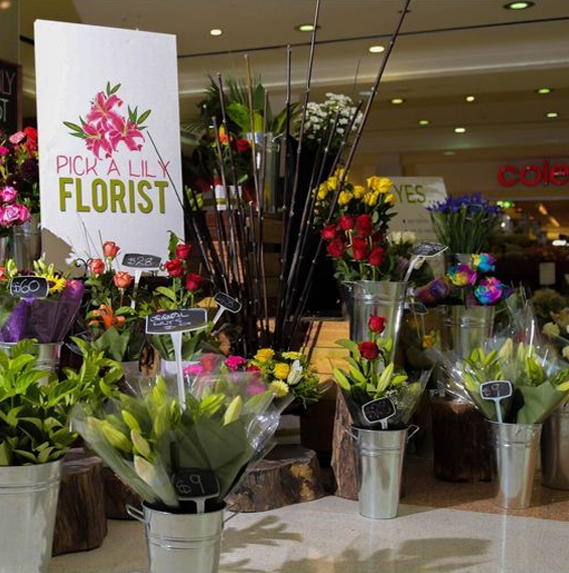 Absolutely love Pick a Lily Florist"
"I had a beautiful bunch of really fresh looking lillies delivered to my family today. I was impressed with the friendly service and it was easy to order over the phone as I live out of town"
"Amazing flowers and amazing customer service. Rachel went above and beyond and I can not recommend her highly enough"
"Rachel put together a beautiful arrangement right before my eyes!! Very talented and passionate, thank you for putting something together so beautifully for a very special friend"
"Amazing flowers, Rachel is the most beautiful lady I have ever met"
The ladies are amazing here. 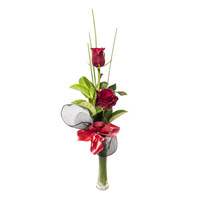 So helpful and make the most beautiful arrangements. Please make sure you don't go anywhere! Many of our products are farm fresh and local grown which means, the growers cut them and we receive them shortly after! This cuts out the middle man so flowers are not stored in cold rooms for days on end before they make it to us, so freshness and quality is guaranteed! Because we are also buying direct from the growers it means we can keep our costs affordable.